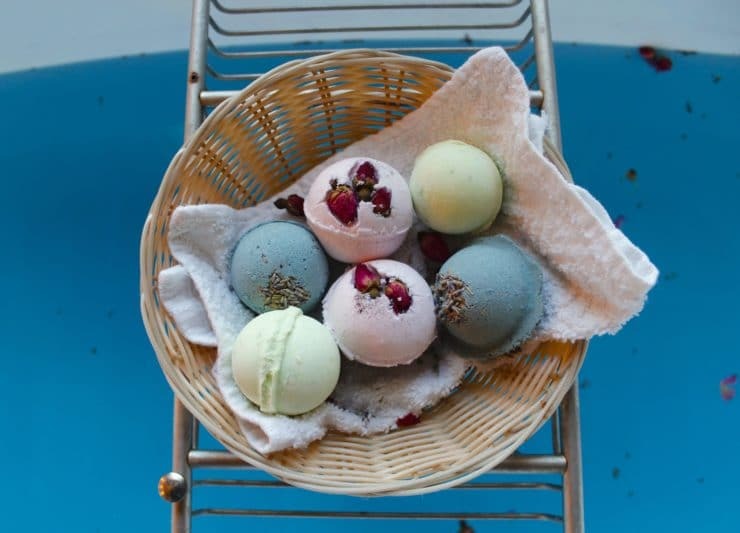 Bath fizzies, also called bath bombs, are molded balls of baking powder (sodium bicarbonate) and citric acid that fizz away when dropped into a warm bath, releasing skin softening benefits and a relaxing scent. 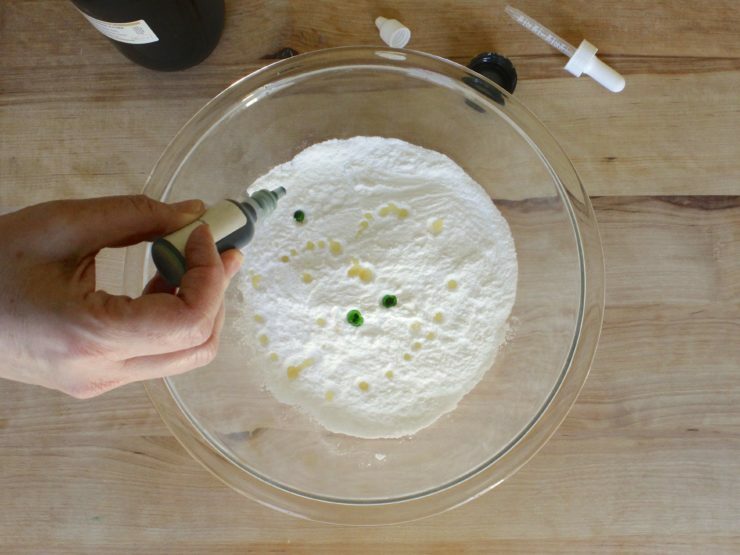 Fizzies are expensive to purchase in shops but inexpensive to make at home. With a little practice you can turn out professional looking fizzies with dried botanicals from your own garden. 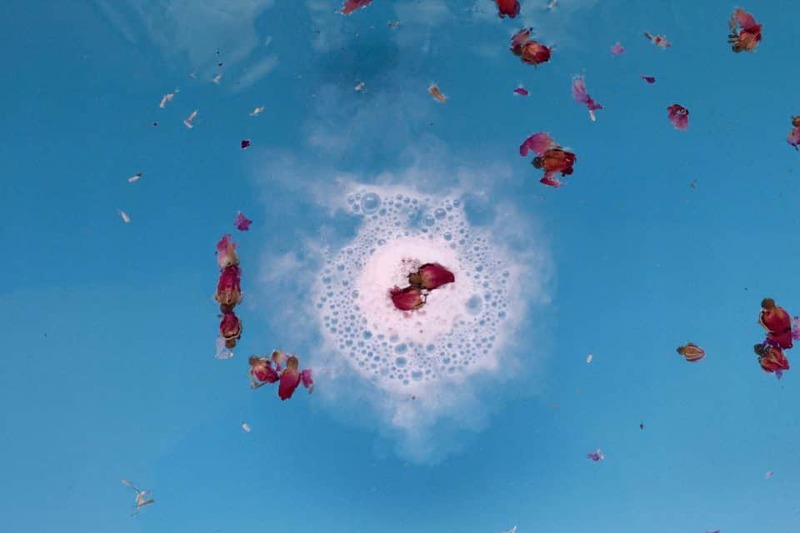 Once you get a handle on crafting the basic fizzy, you can customize your own bath bomb by adding in optional ingredients. 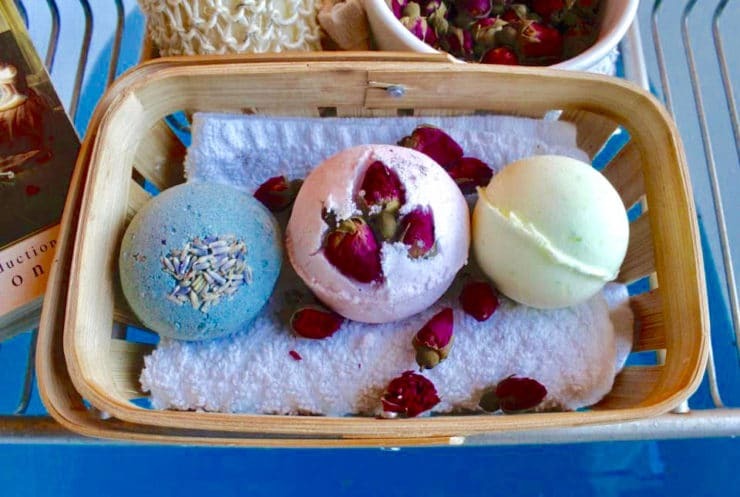 In this post I will walk you through how to make bath fizzies using only 2 ingredients, including added natural scents and more. I began making these for the first time years ago while I was living in England. Lush Cosmetics had just become popular there and I was addicted to their bath bombs. I decided to try making them on my own, since the cost was adding up! When my niece came to visit for a few months I taught her how to make them as well and we started a little business selling them at local farmer’s markets in small English villages. I have such fond memories of that time. When my husband and I moved to the states and started our farm I got away from making bath fizzies for a while, but picked up the hobby once again after my dream clawfoot bathtub was installed in the master bedroom of our home. Baths have always been my favorite form of “self care” and dropping in a bath fizzy, scented with my favorite essential oils, makes them really special. What I really love about bath fizzies is how well they lend themselves to experimentation. You can add colors, dried flowers, moisturizing oils and even glitter. The sky is the limit with these and once you get the hang of the basic method, you can feel free to add as many fun ingredients as you like. They also make wonderful gifts. I love to place them in cellophane bags closed with ribbon or twine. They’re so pretty that you don’t need to add many fussy decorations. It’s a new year and I plan to take the time to relax and reward myself from time to time with a hot bath and a nice homemade bath fizzy. I hope you all do the same! • Essential oil: such as lavender, lemon, orange, lemongrass, peppermint, cardamom, eucalyptus, rose, chamomile, or geranium. 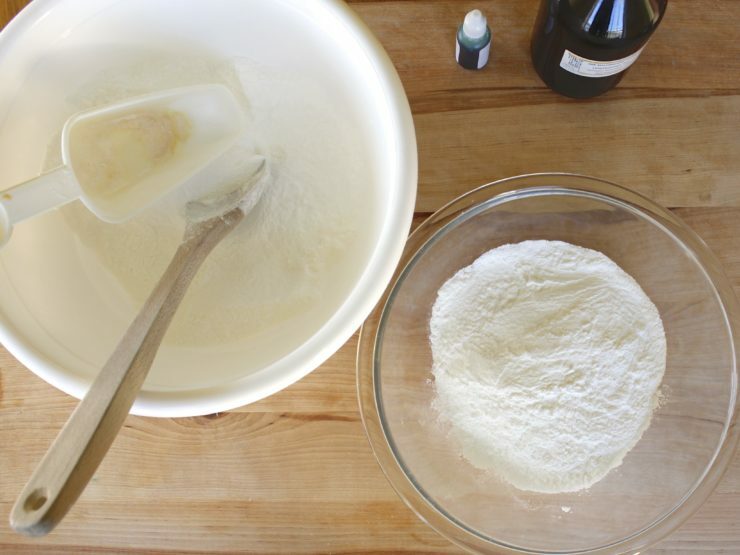 • 2-3 tbsp Kaolin powder (makes your fizzies dry very hard and is beneficial to the skin). Molds – tray type molds or push-together molds. You’ll have better success with fizzies made in molds with rounded edges and less intricate designs. Place two cups of baking soda and one cup of citric acid into a fine mesh strainer—the finer the particles the smoother and harder the bath fizzy—set over a bowl. 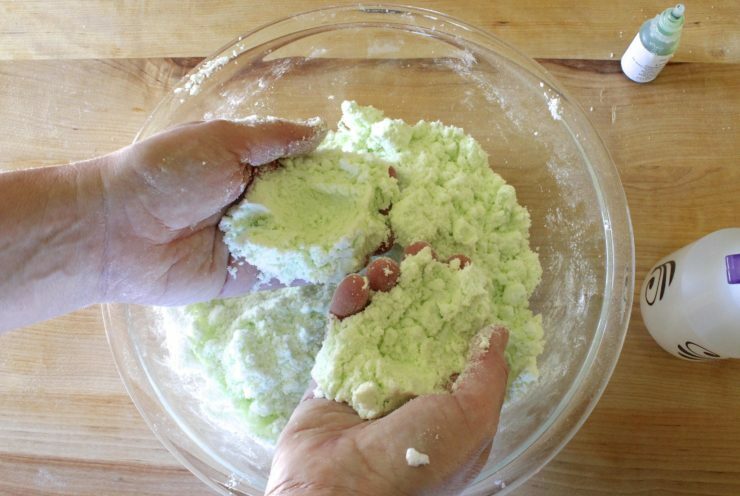 Press the powders through with a wooden spoon or rubber spatula. 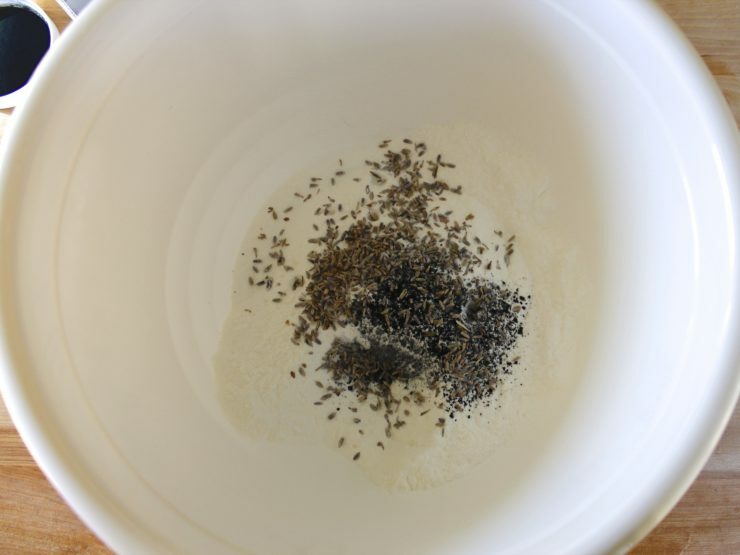 Put half the mixture into another bowl and add in any additional dry ingredients of your choosing. Add scent of your choosing. Two droppers-full should work, although smell the mixture and add more if needed. Be generous with essential oils because the scent dissipates over time. However, less is more with fragrance oil, so add sparingly. If using colorant, add now. Mix well to dissipate the color. Add a pinch of botanicals, if desired. I like to use lavender buds from my garden. 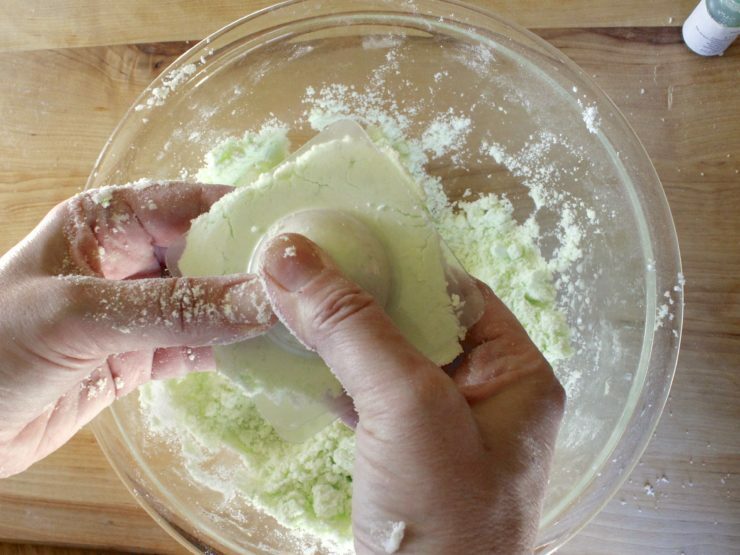 If you’re using large petals, shred them a little bit so the bomb will stick together or place them into the molds before pressing them together. Set your sprayer on the finest mist setting and take a test spray over your sink. A fine mist will help incorporate the water evenly and help prevent fizzing. 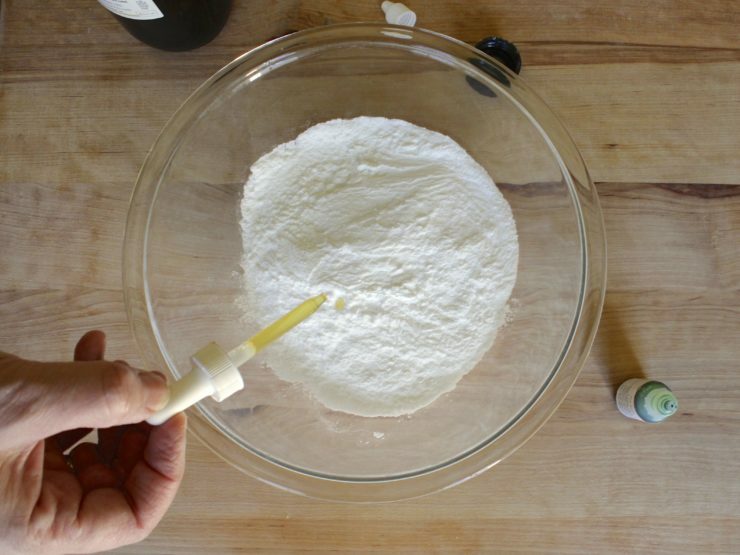 Now, spray the mixture once or twice and then incorporate immediately by rubbing the mixture between your fingers. How much water you will need depends upon where you live. Dry climates will require more water, humid climates less. Make sure to incorporate all the dry ingredients into the damp ingredients before you spray again. A little moisture goes a long way and it’s better to err on the side of dry than on the side of wet. If you hear any fizzing in your bowl, which means the water has set off the chemical reaction, quickly add in some of the dry mixture to stop it. 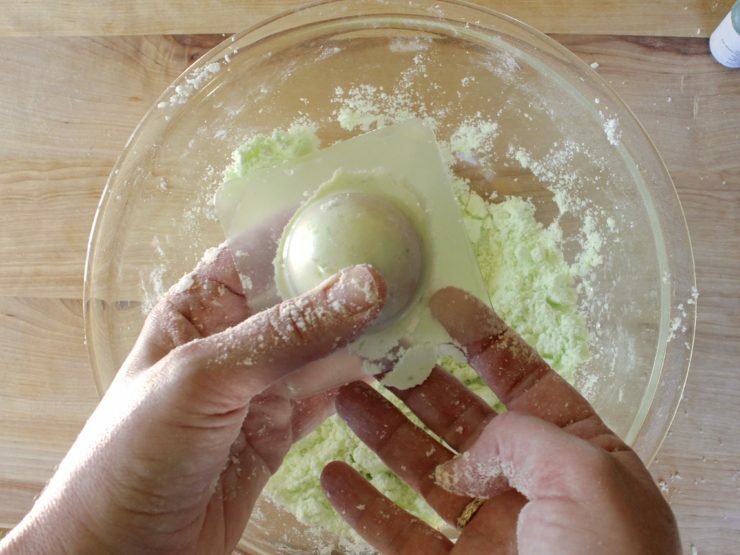 You’re ready to mold when the mixture feels like damp beach sand or the perfect snow for making a snowball. Squeeze a clump in your hand. If it holds together, you are ready to mold. If it crumbles, spray once more and mix again. 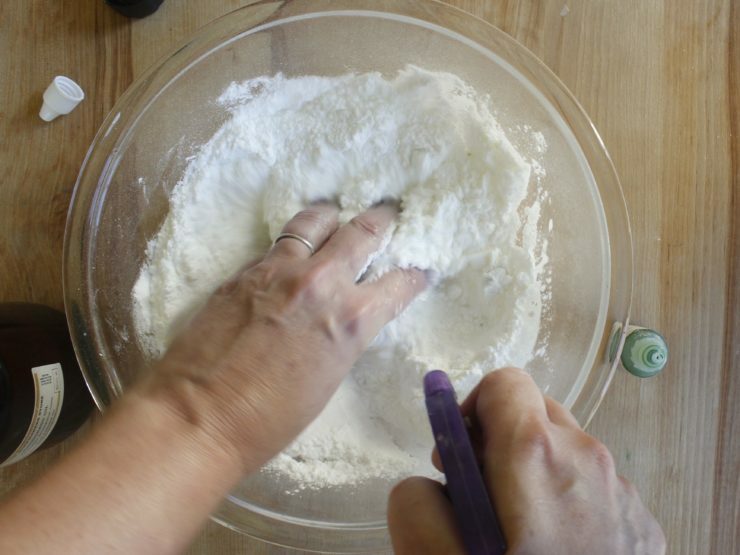 Mold the mixture quickly to prevent it from drying out in the bowl and causing cracks in the finished fizzy. Push together molds can be tricky, but the finished fizzy is more impressive looking than a tray mold fizzy. Mound a good amount of mixture into one side, then repeat with the other half. Then press the two halves together firmly. Try to line the halves up as closely as possible, but don’t worry if they’re a bit off center. They don’t need to be perfect. If you plan to include a capsulated sponge, tuck it inside the first half before pressing together. 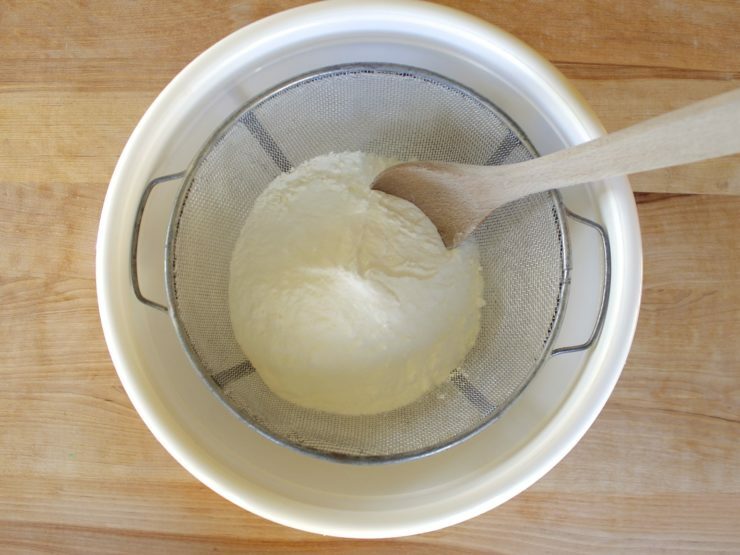 Remove any excess with your finger and leave to dry, undisturbed, for a few hours or even overnight. You can unmold the top to check your work right away if you want, but let the fizzy sit in the bottom half of the mold until it has a chance to dry and harden up. Repeat with the leftover dry ingredients. 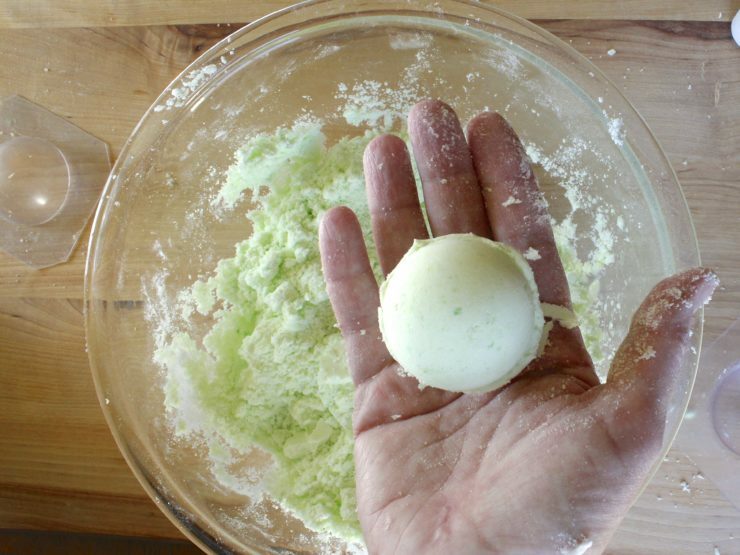 If you don’t have a mold, you can make freeform bath bombs by shaping the mixture in your hands, like a snowball, or squeezing it in your fist, and set to dry. This is a good way for children to make fizzies. Or you can press the mixture into a small half sheet pan (you’ll have to sacrifice a pan or else any cookies or brownies made will taste like perfume! ), turn it out once its dried, and break the slab into chunks. Once the fizzies are completely dry, store them in a an airtight container. 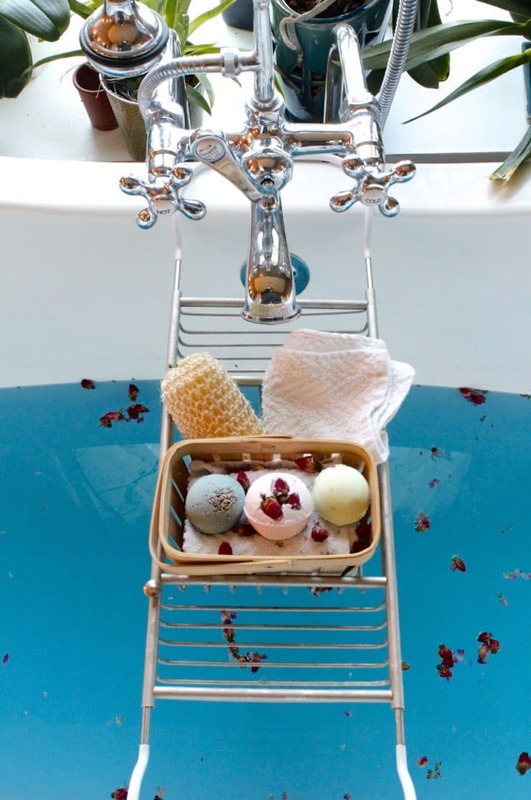 Bath fizzies left out in the open will absorb moisture from the air and will sink to the bottom of the bath and crumble instead of fizz. Cleaning up is a cinch. 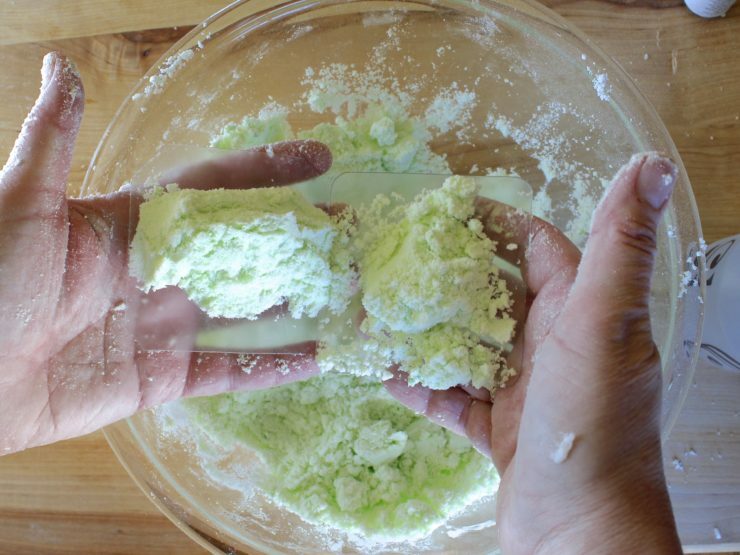 Baking soda and citric acid are great cleansers. Wipe your surfaces down with a damp paper towel, rinse out your bowls and molds, put away your supplies, and reward yourself with a warm, fizzy bath! This doesn’t seem inexpensive with all those oils involved, those are very expensive in itself?